11.6" x 8.3" stitched on 14 count. 9.0" x 6.4" stitched on 18 count. 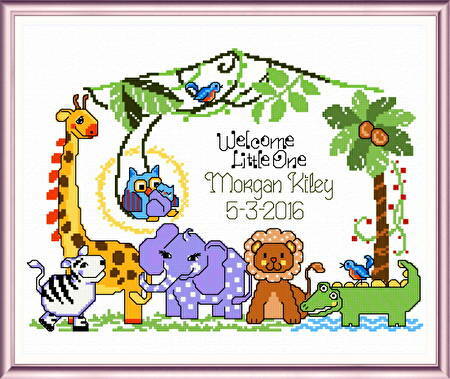 Jungle Babies Birth record cross stitch pattern... Cute and colorful to announce your new arrival. Includes complete alphabet.